Things had been falling down since the beginning of time. 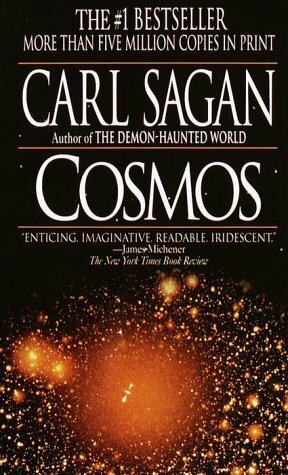 Synopsis of Cosmos by Carl Sagan*: The best-selling science book ever published in the English language, COSMOS is a magnificent overview of the past, present, and future of science. Brilliant and provocative, it traces today's knowledge and scientific methods to their historical roots, blending science and philosophy in a wholly energetic and irresistible way. Life has been happening so things haven't been as busy on the blog. I have an old, old book that everyone should read. 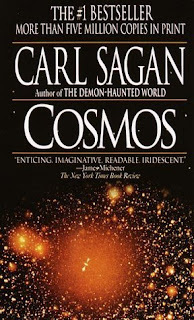 If you're intimidated by science, I highly recommend reading Carl Sagan's accessible scientific writing. Besides, I'm pretty sure everyone has a secret fascination for the world and the universe at large.